Dr. Charles Lee has pioneered a new field of human genetics referred to as structural genetic variation. After making the initial observation of wide-spread structural genetic variation in humans, he continues to direct the rapid advancement of this scientific field. In 2003, when it was announced that the human genome was completed, more than 2,000 international scientists working on the project agreed that the average DNA sequence similarity between any two human beings was approximately 99.9%. This meant that the 0.1% of genetic differences between people (that was in the form of single nucleotide polymorphisms or SNPs like spelling mistakes in the book of life) was the sole genetic basis of all human traits, such as eye color, our different responses to specific medications, or why someone develops a disease while others do not. However in 2004, using advanced DNA chip technology, Dr. Lee surprisingly found that there was much more genetic variation among humans than was previously thought in the form of extra or missing copies of DNA segments. These DNA gains and loses are now referred to as copy number variants (CNVs) and are the most common form of structural genetic variation. 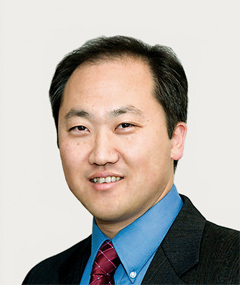 After his initial discovery, Dr. Lee went on to establish an international research consortium that rewrote the book of life when they developed a human genetic variation map based on CNVs in 2006. The year after that, Dr. Lee published another seminal paper in the field when he showed for the first time that the environment and human behavior could actively shape these regions of our genome. Dr. Lee`s fundamental contributions to the discovery and understanding of this new type of human genetic variation has changed the field of human genetics forever and his work has already had far-reaching implications in many areas of medicine: leading to the development of new diagnostic tests, providing a better understanding of genetic-based diseases, and advancing personalized medical treatment.